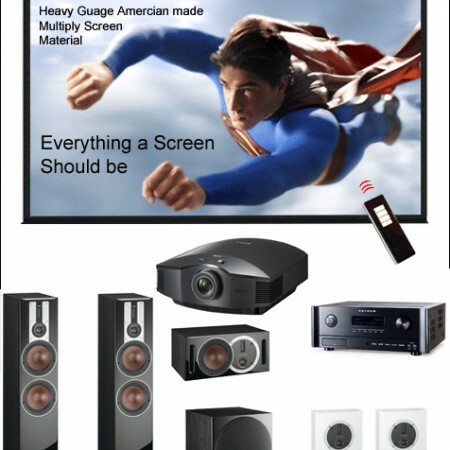 This Bronze Home Cinema package is one that we have chosen for it’s value for money and high performance. We have installed this system in a number of customer’s homes and know it to come up with the goods. 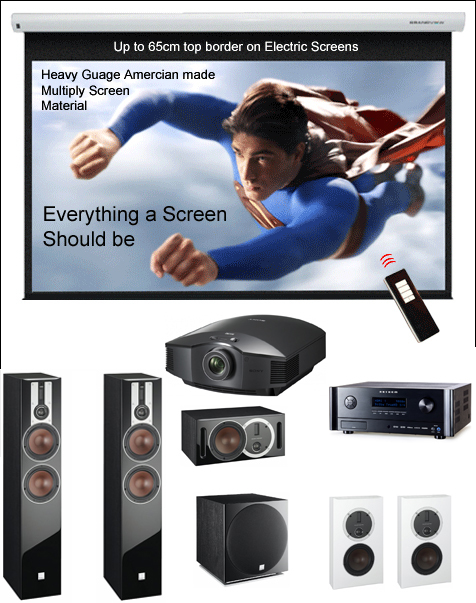 This Bronze Home Cinema Package is not available mail order, however you can reserve the package here, and we will contact you about the speaker and projector finish you require, and to arrange delivery and installation. It will deliver a good size full HD image with stunning clarity and detail, with a sound system to match. We believe in balance between the various elements that go to make up a Home Cinema Package, and these have been carefully selected to each be at the highest value for money in their respective fields. The system is 3D ready (meaning that you need to add 3D glasses), and will replay the HD Audio tracks on Blu-Ray movies superbly. 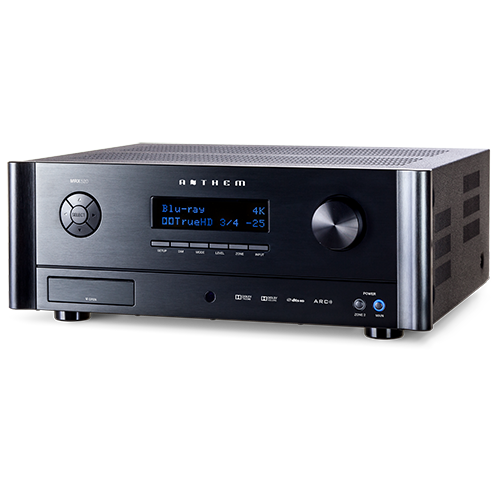 The system is suitable for most average sized rooms, however if your room is larger than about 18 square meters we’d suggest going for a larger screen and the more powerful amplifier (see our Silver Package). DALI Optikon series 5.1 speaker package (Optikon 6, Vokal 2, Sub & Optikon LCR on-wall speakers) Speakers available in White, Black and walnut finishes. 40m of speaker cable and all interconnects etc. All this gets you a great high quality Home Cinema Package installed and working. *Basic installation consists of fixing the projector and screen to the ceiling and surface running all required cables. For a more sophisticated installation we will need to do a survey a quote specifically.